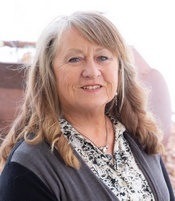 Back in 1973, while employed at Munson Medical Center in Traverse City, Michigan, a series of health issues in her family motivated her to seek health answers in the non traditional way. She searched for answers by taking classes, reading, studying and meeting with others that had beaten “incurable” medical problems. In this process Kathy learned all she could about how the body works and heals. Her quest for knowledge in the natural health field started then and has never stopped. When she was introduced to Foot Zone Therapy she was able to pull all the knowledge that she had accumulated over the years together. Using all these tools has helped her understand how the body becomes ill, and how it can heal itself. She loves to help others learn about the miracles or their bodies. Foot Zone Therapy is in its infancy and has a fantastic future, for both the client and the practitioner. Zoning compliments massage therapy, and other health modalities including main line medical, often working together to achieve whole health benefit for the client. Christine is the co-founder of the Academy of Foot Zone Therapy. She and her partner Kathy Duvall created a full curriculum and four text books, which laid the foundation for building the academy. They have been working on the academy and have 12 instructors, a data base of providers, monthly conference calls and an annual Foot Zone Therapy conference. 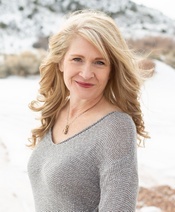 Christine graduated with Honors from Utah State University, where she studied Philosophy, and worked post bachelorette as a Student Advisor and Interim Director of Multicultural Student Services for eight years. After graduating, Christine founded Lighthouse Presentations, a program for empowering and instilling self-esteem and awareness in youth. Through her work with Student Services and Lighthouse Presentations, she learned firsthand the power of positive thought and its influence on the outcome of the healing process; this in turn guided her towards the healing arts. In 1997, Cade, Christine’s eldest son, was diagnosed with neonatal lupus. After seeking traditional western medical advice, with little success, and after his having been subjected to excessive testing, she and her mother Kathy sought the healing power of Foot Zone therapy, through which her son became miraculously symptom free. The efficacy of Foot Zone therapy during her son’s illness set Christine and her mother on the path of learning to practice Foot Zone, so that others might also have a chance of improved health. Since that time Christine has practiced and studied Foot Zone therapy for over ten years. In 2004 she moved to Everett, Washington and has made it her passion and full-time profession. In addition she has studied aroma therapy, energy work, the medicinal and therapeutic functions of vitamins, nutrition, and herbs, all of which she incorporates into her practice of Foot Zone as a holistic approach to homeopathic healing. Christine enjoys dancing, horseback riding, singing, and spending time with her two children, Cade and Tia. She owns and operates Vitality Zone, in Mill Creek, WA, which is her private practice, and hopes to eventually grow into a whole wellness clinic, featuring Massage therapists, herbalists, nutritionists, and a range of homeopathic and naturopathic practitioners. Her goal is to be working full-time teaching and promoting the Academy of Foot Zone Therapy.